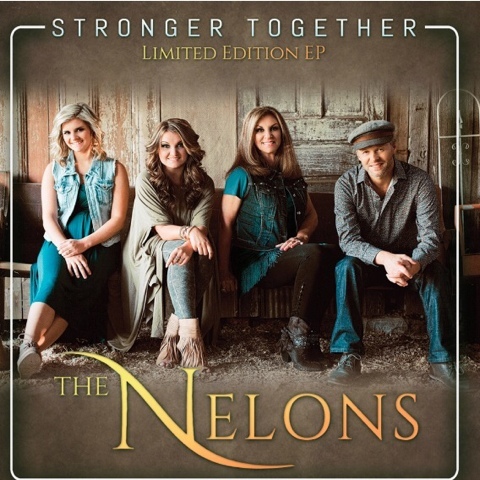 Hendersonville, TN (April 29th, 2016) – Daywind recording artists, The Nelons, are excited to announce the release of Stronger Together –Limited Edition EP, available today. In anticipation of two brand-new, full-length recordings in August, the Nelons have released a 6-song EP project that includes their current radio hit, ‘I Just Can’t Make It By Myself.’ The EP, available now at all major digital retailers, gives listeners a small taste of what is to come from the award winning family group in the coming months. The release of Stronger Together –Limited Edition EP falls just weeks before the iconic gospel group’s induction into the Gospel Music Association’s Hall Of Fame on May 10th. Comprised of Kelly Nelon Clark, her husband, talented producer/arranger Jason Clark, and daughters, vocal powerhouse Amber Nelon Thompson and budding instrumentalist Autumn Nelon Clark, The Nelons have a gifted way of powerfully communicating the Gospel through polished harmonies and commanding performances that transcends the years and genres. During their tenure as one of Gospel music’s leading families, The Nelons have garnered six GMA Dove Awards, three GRAMMY nominations, and 14 Singing News Fans Awards, among others. Carrying on Kelly’s father, Rex Nelon’s, legacy, they have recorded more than 35 albums containing more than 20 Top 5 radio singles, including classics such as ‘We Shall Wear A Robe And Crown,’ and ‘O For A Thousand Tongues.’ They have frequently been featured on the Gaither Homecoming Tour and videos, as well as performed on the Grand Ole Opry, among other historic venues. In addition to the digital EP, The Nelons plan to release two full-length projects,Stronger Together and Family Harmony later this fall, as well as a vintage vinyl project on Daywind Records. Stronger Together –Limited Edition EP is available now at iTunes and other online digital outlets.